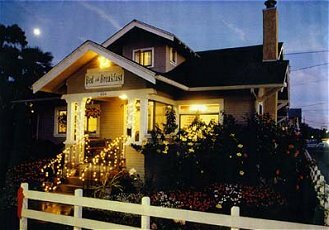 Santa Barbara area historic home (circa 1904) and cottages voted a "Readers' Favorite" LATimes, and selected a "Most Romantic Getaway" Santa Barbara Independent and located by the "Best Beach in the West" University Beach Rating Service. Tucked between a magnificent mountain wilderness and the beautiful Pacific, the inn provides bicycles for you to explore beach bluffs, flower fields, and mountain trails. AMTRAK station, sixteen restaurants, antique shops, garden shop and grocery store are all within a quarter mile. The area has near perfect weather, never far from 70 degrees Fahrenheit. Sunshine prevails, supporting a variety of outdoor activities. Wine country tours, visits to charming Solvang, museum and historic site visits, botanical gardens, magnificent outdoor cafes and much more make a vacation here memorable. 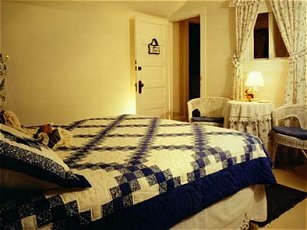 Room rates are from $69 to $269. Some have Jacuzzi baths and fireplaces. MC, VISA, CASH accepted. A minimum fifty percent deposit is required. 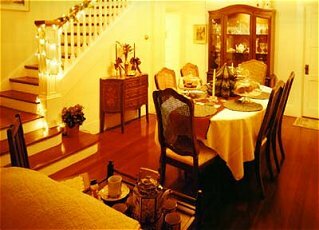 Romantic Country Inns, Getaways and B&Bs offer a great CA lodging alternative to big hotels.